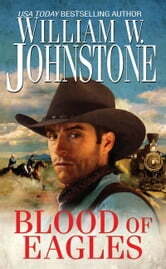 From USA Today bestselling novelist William W. Johnstone, author of the acclaimed Mountain Man and Preacher series, comes Blood Of Eagles, the eighth book in his extraordinary epic saga of the American West. . .
One land. One law. One legend. The Oklahoma Panhandle is one hundred miles of lawlessness and danger: a no man's land designed to separate Texas from pro-Union Kansas. Through this desolate strip rides legendary gunslinger Falcon MacCallister, a young Indian boy by his side. Behind him lies a scene of horror left by outlaws who'd ambushed a small wagon train. As he searches the Panhandle for the killers, Falcon enters a storm of greed, thievery, and betrayal that has its roots in two long, gleaming bands of steel. 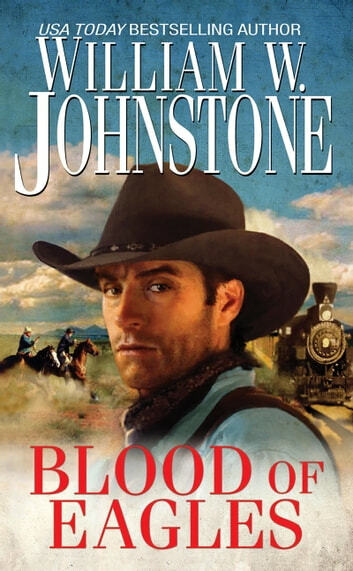 A new railway is penetrating this hostile land--making some people rich, some people dead, and sending a gunfighter and a boy on their own brutal ride to revenge.